Lanse Priebe is a Los Angeles artist specialising in intricate mosaics. 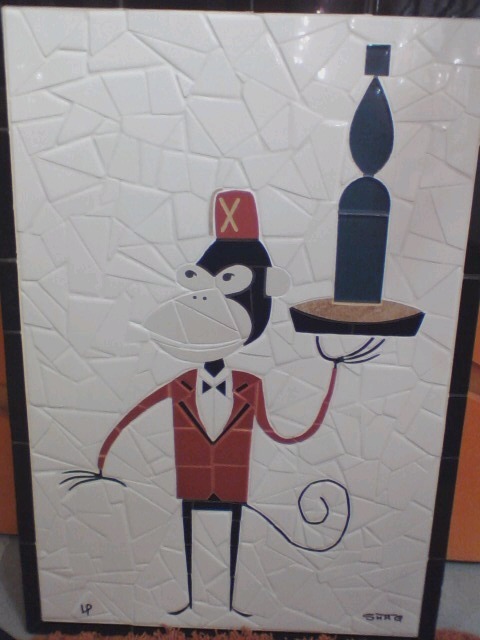 In 2013 Lanse was commissioned by Josh Agle to create a unique mosaic panel based on the monkey in the 2001 Mr X’s Valet print. 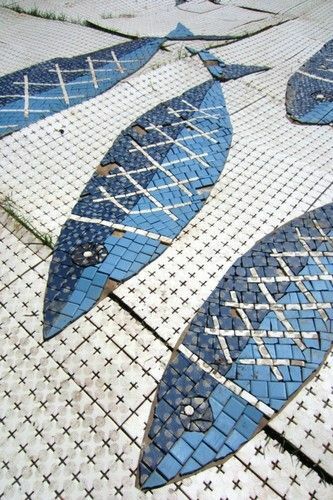 The tile mosaic is created by the direct method involving glueing individual tesserae onto a supporting board. The physical picture created by the mosaic is detailed, portable and has stunning colours matching the original print. The mosaic is made from ceramic and glass tiles with a custom made wine glass and wine bottle. Lanse’s mosaic of Shag’s 2012 print Desert Shower uses four different colours of tiles for the water spray. 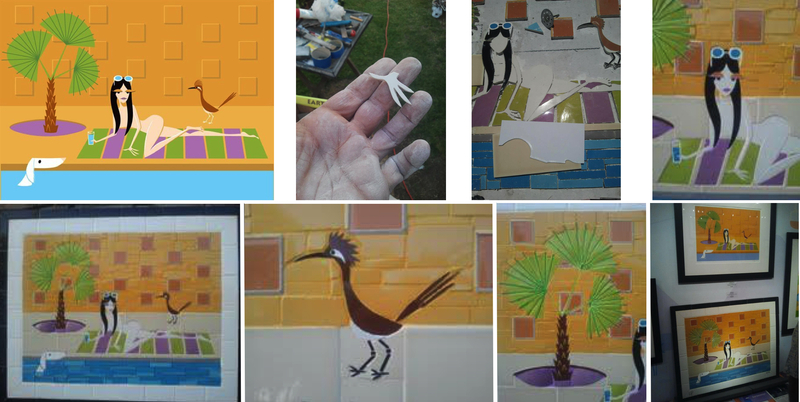 The photographs below show the mosaic being created; the tiny orange tile is the showering lady’s bottom lip. 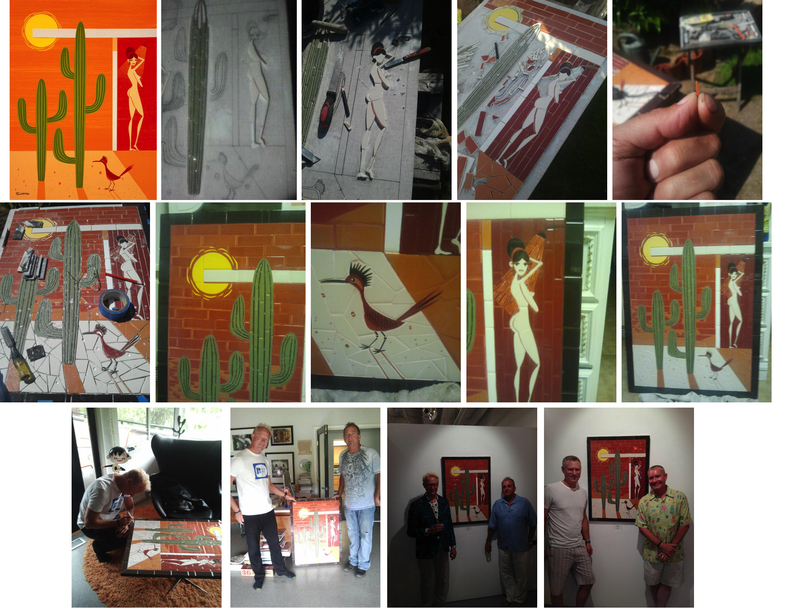 Shag is seen signing the mosaic at his studio, the piece sold in the gallery in less than an hour and the last picture below shows the proud new owners. Lanse interprets Shag’s work for the Josh Agle Objects range by the Mod Fab Group. 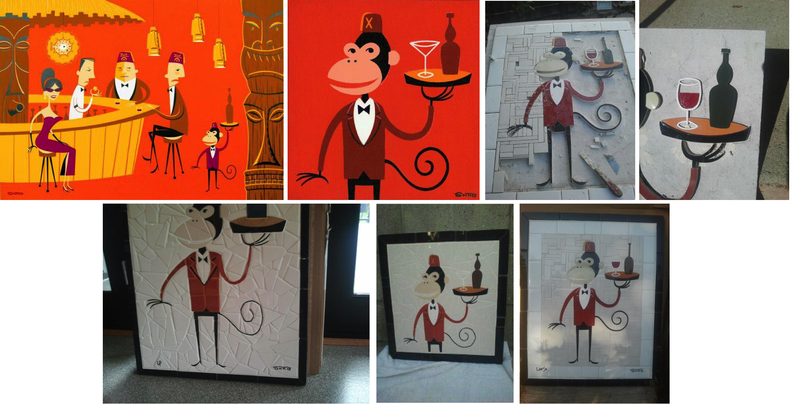 Some of his art (non-Shag) can be seen on the MOD Fab Group’s Art for Sale page. 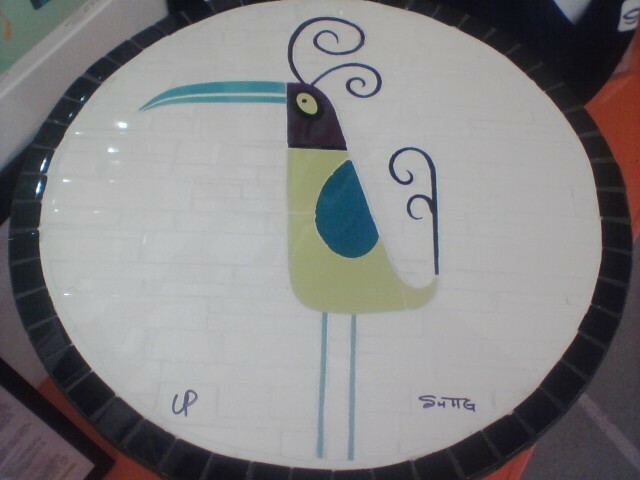 Lanse also listed his work on his Pinterest page, including this ceramic tile Shag Cat. 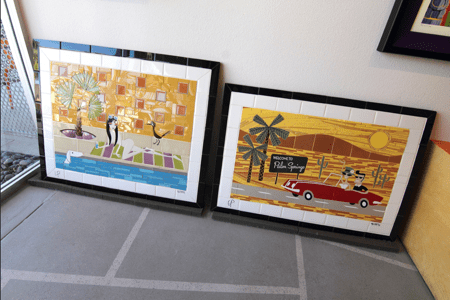 Lanse has also created mosaics of several other Shag characters, including the Worry Birds (from the Four Hands exhibition) and the Siamese cat below, available through the Shag the Store and m modern gallery in Palm Springs. 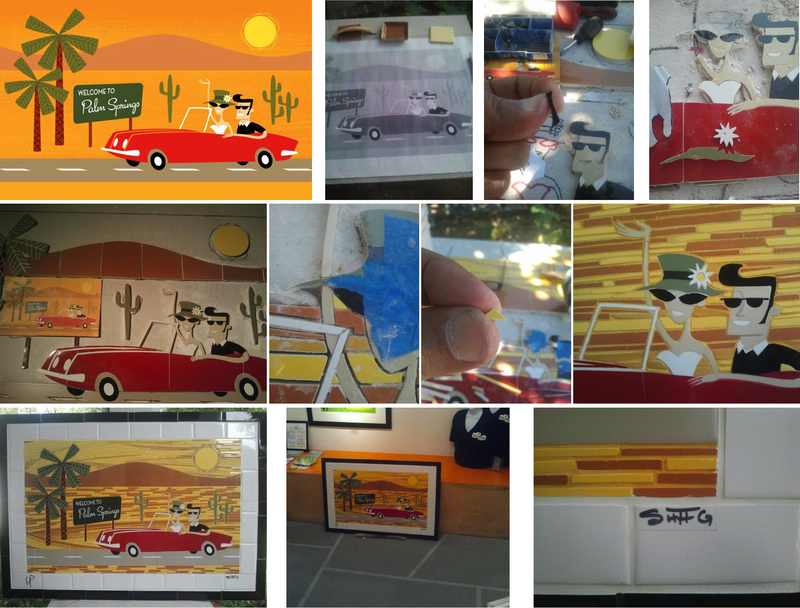 In March 2013 Lanse created a mosaic for the Shag’s 2010 print The Roadrunner. 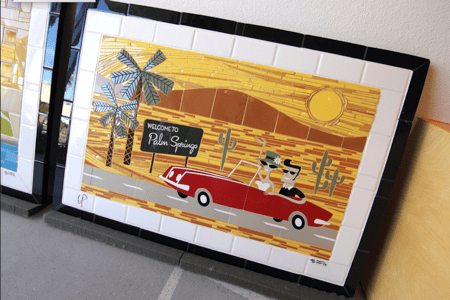 Shag’s Welcome to Palm Springs print from 2011 was interpreted as a mosaic by Lanse Priebe in 2013. Shag’s 2013 print The Nosy Neighbors was converted to tesserae by Lanse in February 2013. 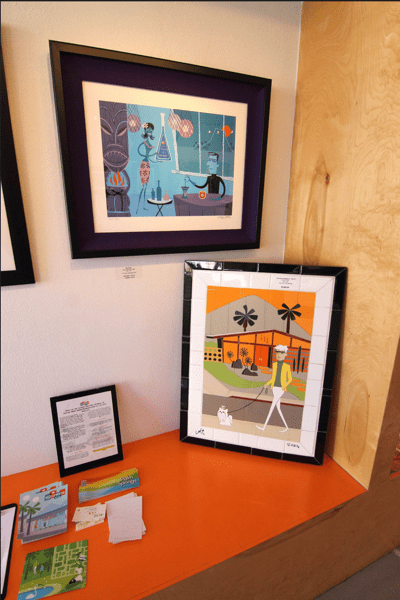 It was included in The Nosy Neighbors print release at the Shag the Store in Palm Springs in February 2013 with Lanse Priebe and Josh Agle. Lanse Priebe’s website Lansealan.com, unfortunately does not work, a page was stored in the Internet Archive: Wayback Machine back in 29th May 2013 but it is empty. 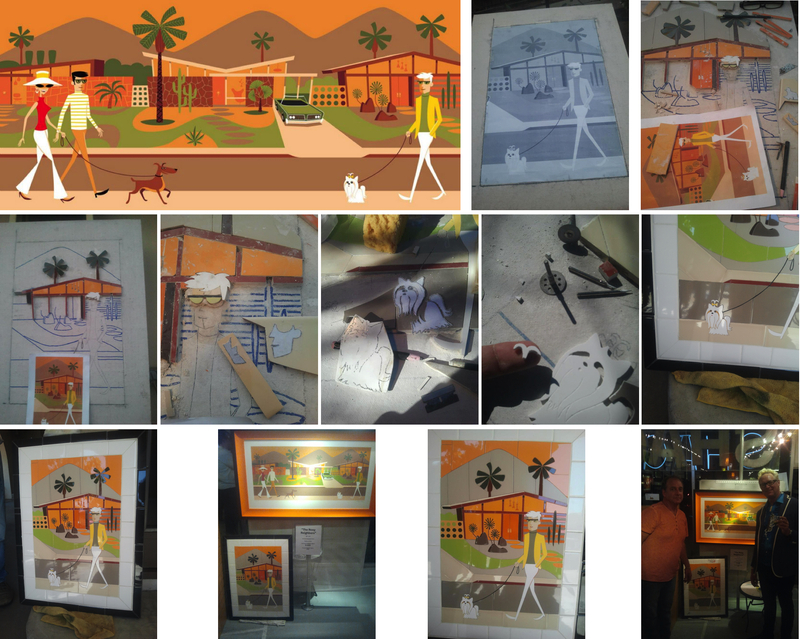 And to end this post, the following mosaic was listed on eBay as “SHAG Josh Agle MONDO Tiki HULA Mosaic Pool Tile Art *authentic & signed*”.